1. 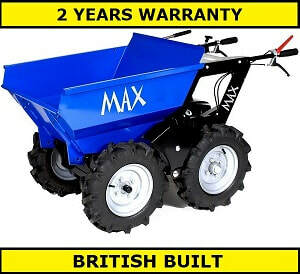 In this video, the muck truck power barrow range features the max dumper and the many uses and possibilities to make work and life easier for builders, arborists and landscapers and for domestic or commercial projects. 2. 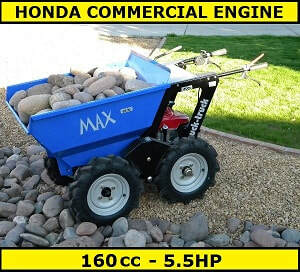 The muck truck max dumper power barrow is seen in this video moving rocks, stones, soil and rubble quickly and effectively. ​4. 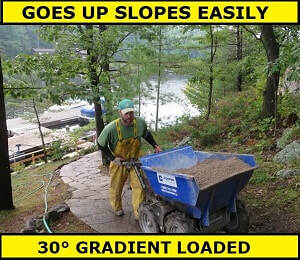 Another satisfied customer has sent us this video after he purchased our muck truck max dumper. This power barrow shifted an incredible amount of heavy clay soil. All this work was done with just one person. Quite incredible really! 5. 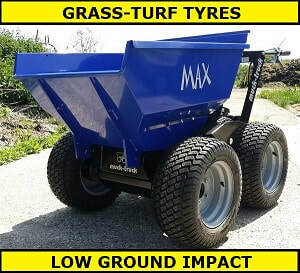 Tough and reliable and with great capacity, the max dumper from the muck truck range is shown in this video as the power barrow to have.